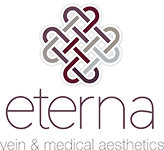 Loyalty has its rewards with Eterna’s referral program. It's as simple as talking about the services you have enjoyed with us. Refer 3 new friends to Eterna and receive a complimentary service as a token of our appreciation. Eterna is proud to partner with the Brilliant Distinctions ® Program. As a member, you will have access to valuable savings on your BOTOX® Cosmetic, CoolSculpting, JUVÉDERM® XC, LATISSE® and SkinMedica® purchases. It’s free to join, and we start rewarding you right away. You’ll receive an instant $20 treatment certificate when you sign up, plus access to exclusive perks and discounts on treatments you love.